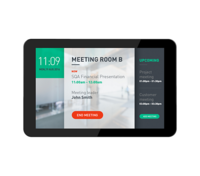 MON-PH-10BDL3051T Enhance and personalise interactions with this user-friendly, 5 point touch screen. Innovative solutions for any signage application. MON-PH-32BDL4050D Innovative solutions for any signage application. It's the next evolution in signage solutions. 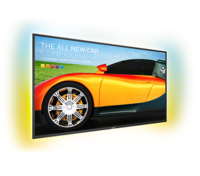 MON-PH-42BDL5055P Philips 42" Display screen, Innovative solutions for any signage application. 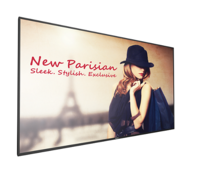 MON-PH-42BDL5057P Philips 42" Display screen, Innovative solutions for any signage application. 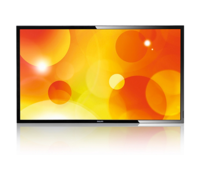 MON-PH-BDL4270EL 42" Philips. 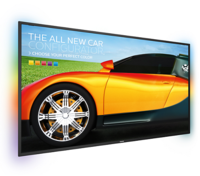 Optimised for public viewing IPS wide view technology for image and colour accuracy. Designed for 24/7 operation. 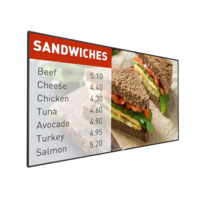 MON-PH-43BDL4050D 43" Philips display screen with integrated WiFi and designed for running Android apps, it's the next evolution in signage solutions. MON-PH-43BDL4051T 43"Philips, Fast, precise and extremely durable, its high performance is matched by excellent reliability and functionality. 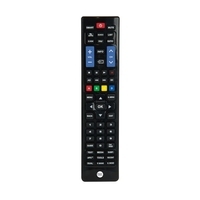 MON-PH-BDL4330QL 43". 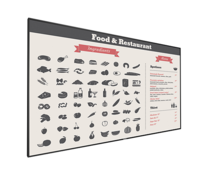 Intensify your signage experience with priceless smart performance. 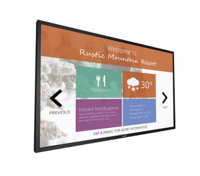 Deliver startlingly clear images in a more eco-friendly way. MON-PH-BDL4335QL 43" High on performance and reliability, yet low on power consumption, it is ideal for projects where no compromise is accepted. MON-PH-BDL4830QL 48" Philips,High on performance and reliability, it is ideal for projects where there is no room for compromise. MON-PH-BDL4835QL 48" Philips Display screen. High on performance and reliability, it is ideal for projects where no compromise is accepted. MON-PH-49BDL4050D Philips 49" Display screen. Innovative solutions for any signage application. 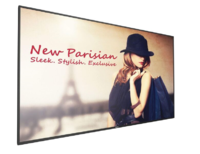 MON-PH-49BDL5055P 49" Philips Display screen Innovative solutions for any signage application.